These are specific WWI British patterns. I have many more and will be adding photos here as I test them. Please feel free to contact me with any questions or if you're looking for something else that I don't have listed here yet. Prices are: $40 for helmet and sleeping cap, $75 for vest, $120-$160 for cardigan, and $40 for the shooting gloves. This is called Helmet No. 1. Here is the Helmet No. 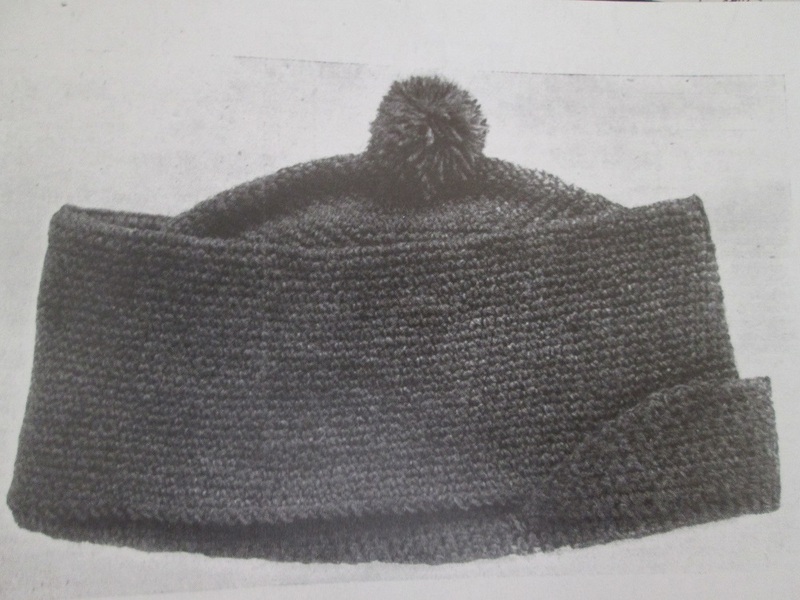 1 that I knitted from the pattern. 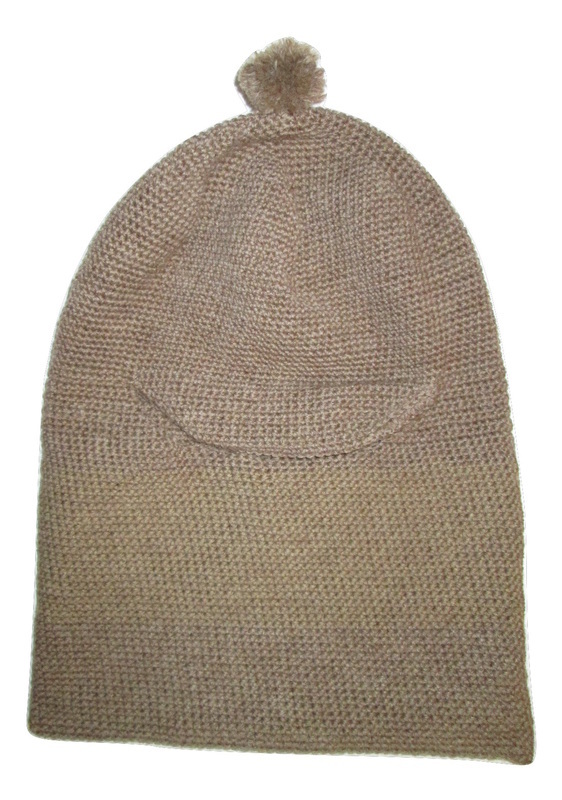 The ribbing around the face on the one I made is shorter, as it was a customized request. 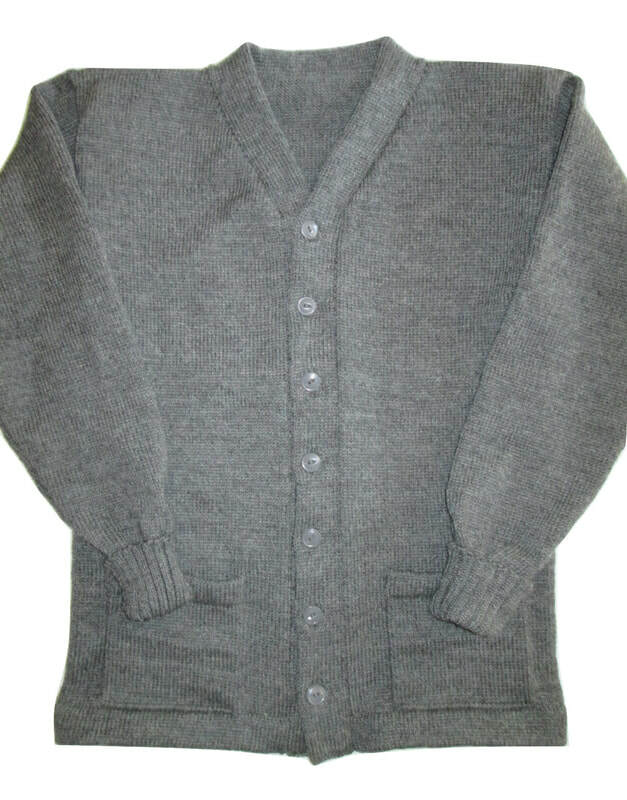 This is the sleeveless sweater vest I knitted in gray wool. This is the original pattern photo. This is a cardigan/sweater coat I made for a customer based on a photo of a WWI British cardigan. Another photo of the British WWI cardigan I made. It has metal (pewter) buttons. 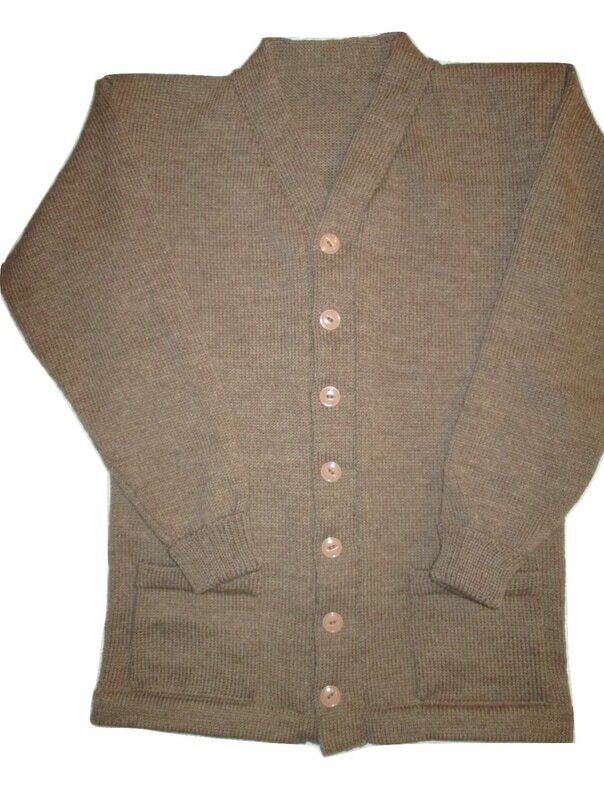 This is another British cardigan I made. 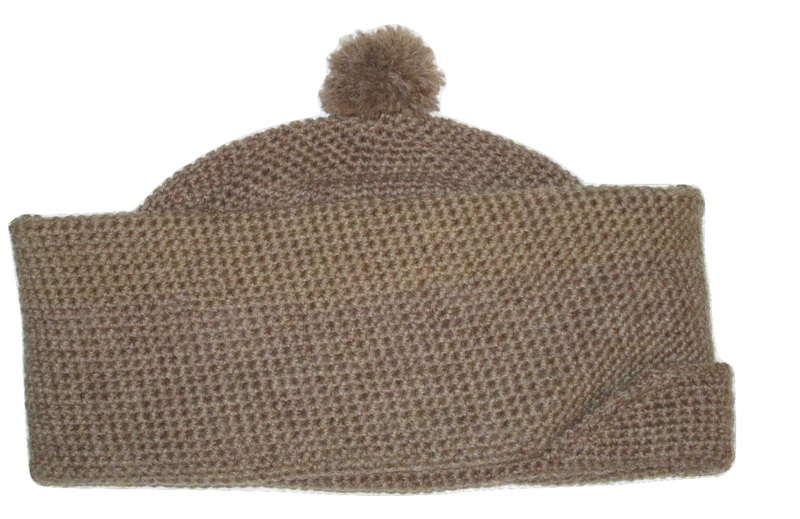 I knitted it with khaki color yarn. 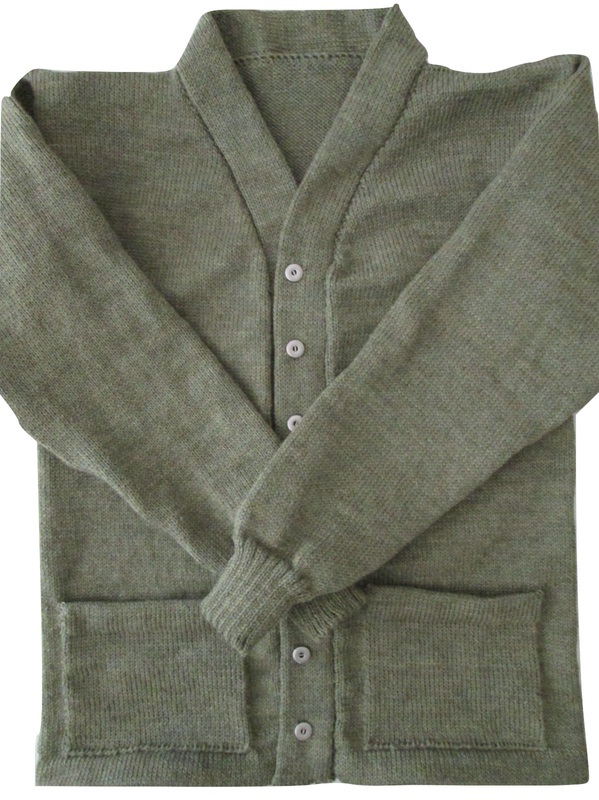 Same cardigan pattern, but I knitted this one with grey heather yarn and used grey buttons. 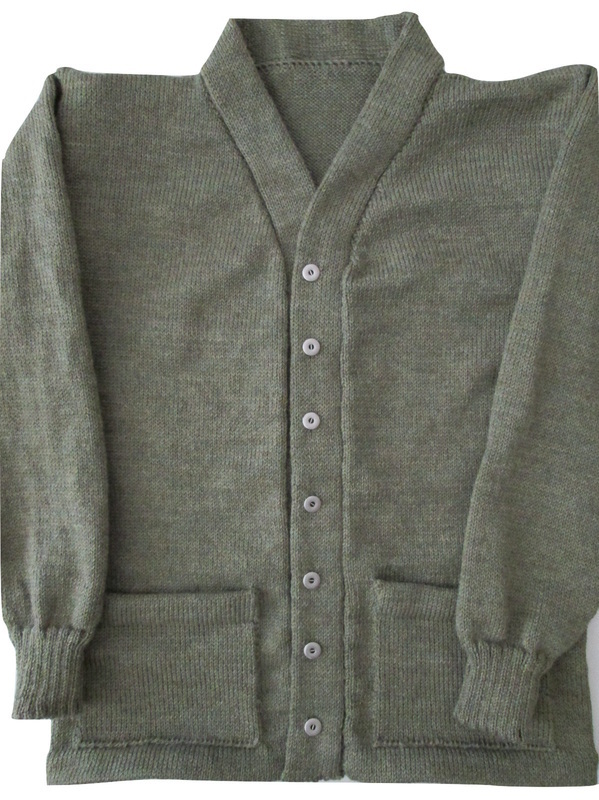 I was able to find vintage casein buttons for these cardigans. This is a sketch from the original pattern for Soldier's Shooting Gloves. The thumb and forefinger tip are left open for shooting. 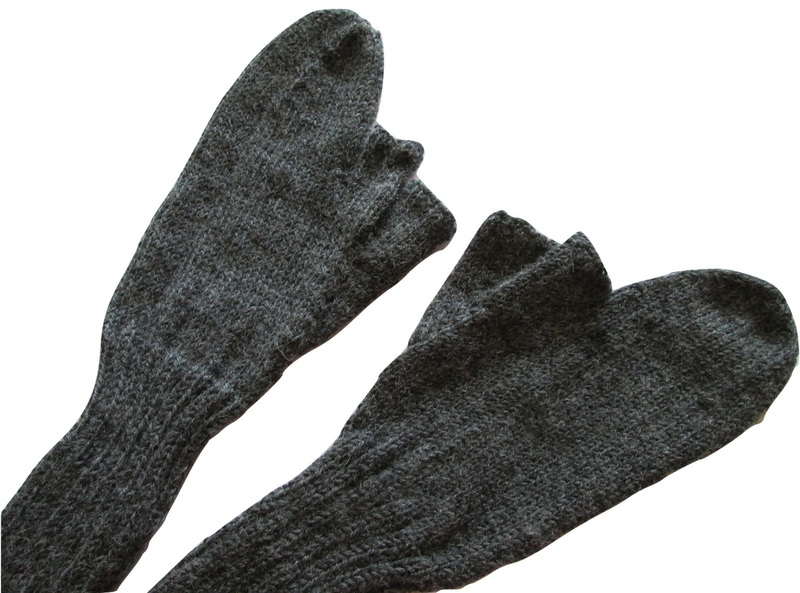 The knitted the Shooting Gloves in grey wool. 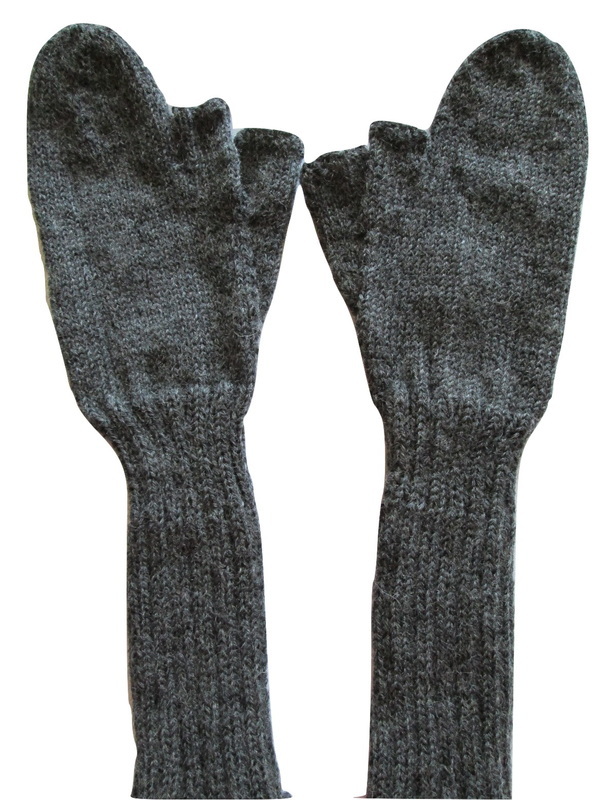 These Shooting Gloves are knitted on four double-pointed knitting needles. Another photo of the Shooting Gloves I knitted. 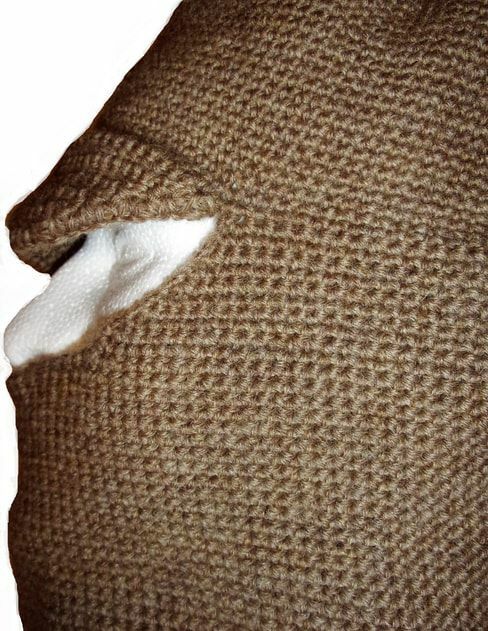 This is the original 1915 pattern photo of a British Crochet Balaclava Cap and Sleeping Helmet Combined. 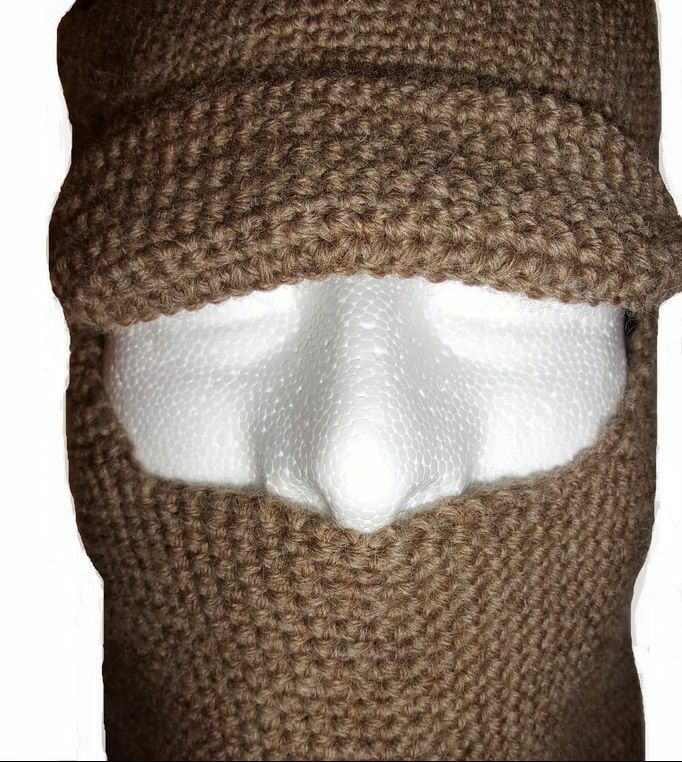 This is the Crochet Balaclava and Sleeping Helmet that I made in a khaki colored yarn, as specified in the pattern. 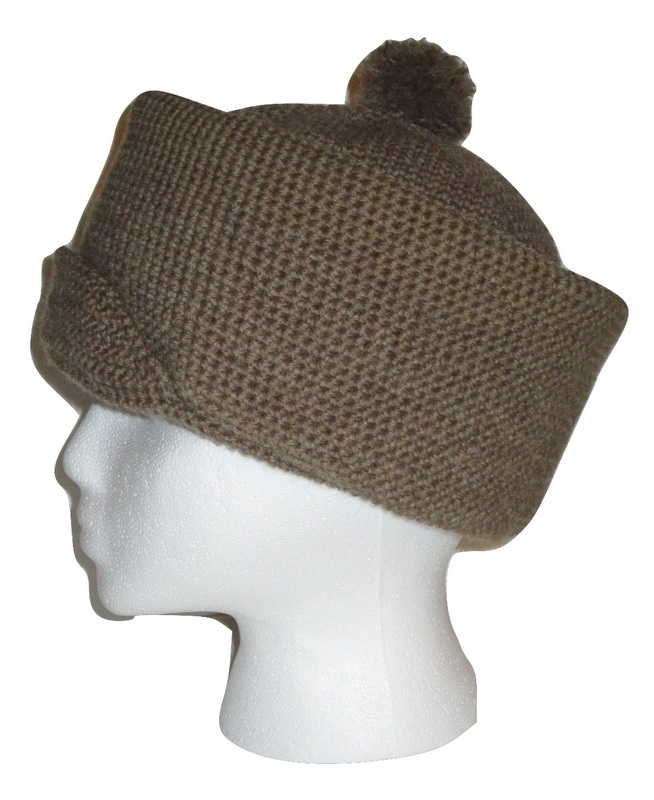 Another photo of the Cap that I crocheted. Here is the cap I made unfolded for use while sleeping. View of the face opening. View of the face opening from the side.